This week saw a number of firms set up new initiatives across Asia but there was a notable departure, as Arabic news organisation Al Jazeera was forced out of China, after its lead anchor was denied a new visa. American journalist Melissa Chan, who fronts its Chinese bureau left the country last week after being denied a fresh permit. The Chinese government also refused to allow a number of other staff members news visas, while no replacements were permitted, leaving the agency with no choice but to leave the country entirely. The exile, which is the first media expulsion since 1998, is believed to have been in response to an Al Jazeera video documentary into Chinese labor camps, although Chan herself didn’t lead that investigation. 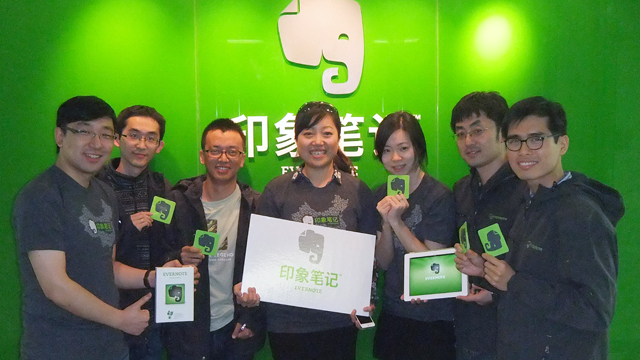 In contrast to Al Jazeera’s exit, Evernote is making a renewed splash in China with the launch of a dedicated local company, Yinxiang Biji. Evernote has already released a Chinese version of its app — which has been downloaded 1.1 million times to date — but it has now introduced a standalone service to better accommodate local users. Those that choose to use Yinxiang Biji over Evernote China, will enjoy faster speed, more apps (thanks to greater support for local developers) and other benefits. However, their data is likely to be less secure on the company’s Chinese servers as Evernote admits that it can do nothing if authorities legally request access to information. Evernote made its announced at the GMIC event in Beijing last week, and another notable piece of news from the show saw Asian games developer grab record funding from Atomico, a VC fund set up by Skype founder Niklas Zennström. The new money will go towards strengthening the research and development team, based in China, and bringing the firm’s 3D games to new platforms, with iOS and Android particular focuses. Speaking of mobile, Baidu finally spoke out on its new mobile strategy after weeks of speculation. While the search giant hasn’t confirmed rumors of a device that it is said to be making with Foxconn, it did reveal that it will launch a new cloud-centric operating system this coming week. 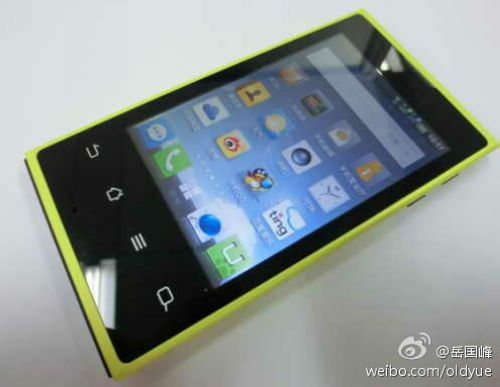 Details remain unconfirmed but, given Baidu’s influence, the new product could fiercely rival Android and iOS in China. Baidu already has a mobile OS, Yi, but the new platform — Baidu Cloud — will hook into a number of the Internet giant’s cloud-based services, aiming to provide a convenient and appealing user experience for those in China. Elsewhere in China, Sina Weibo users will soon have their conduct on the Twitter-like site governed by a list of rules and regulations released this week. Initially operational on a ‘trial’ period, the ‘user contract’ will come into effect at the end of May and will provide greater transparency, particularly around the increasing censorship of messages on the service. While transparency is all well and good, it remains to be seen if — now in black and white — Sina will begin censoring its users more frequently as a result. The move comes after Sina admitted that it is yet to fully implement China’s real name regulation, and it appears to be a signal to show that it will fight the spread of harmful information online, as the Chinese authorities have requested. Last week saw significant progress in the Apple-Proview dispute over the iPad trademark in China. Apple had been said to be ready to negotiate, according to recent reports, and the company made its first settlement offer, putting $16 million on the tablet. Proview rejected the offering and the cash-strapped company is said to be holding out for $400 million, to help pay off its debts. This week we’ll see if the two firms can narrow the gap and agree on a final figure to finally end the dispute. Apple’s new iPad is still yet to launch in China, although it may still be awaiting necessary permits, the ending of the trademark dispute would see one significant barrier preventing the release removed. Apple partner Foxconn has been particularly vocal in China, where it opened a new factory last week, as CEO Terry Gou revealed that the company is preparing to build Apple’s new televisions. According to Gou, the new iTV will be built from aluminum and include support for Siri and FaceTime video calling. That’s not all, as Gou also revealed that Apple is will to help foot the bill to make the necessary improvements to workers’ conditions following the recent FLA report. Gou says that Apple sees the spend as giving it a “competitive advantage”, as it helps improve the welfare of its staff and partners’ staff worldwide. Google has been under pressure in India’s courts of late and it came under more fire in the country last week following a complaint about its AdWords advertising system. India’s Competition Commission of India (CCI) is looking into a complaint from a website portal owner that alleges that the search giant “abused its dominance by engaging in discriminatory and retaliatory practices relating to AdWords” for a marriage-related website. The complaint was lodged in February but made public on Monday. If the CCI pursues a probe, as is expected, a report could be forthcoming within the next 60 days. Google is also being rivalled from another source out of India, albeit online this time, as serial Internet entrepreneur Divyank ‘Div’ Turakhia bids to challenge the firm’s contextual advertising dominance. Turakhia, who founded Web hosting and Internet services giant Directi when he was just 16, turning it into a $300 million business in less than a decade, is planning to hire 1,000 staff to continue to scale his global Media.net business. Turakhia says there’s a large addressable market of Web publishers of all sizes, and that he intends to recruit a ton of marketing and sales people in the next few months to increase awareness for Media.net’s technology and solutions. Another newcomer seeking a piece of the action is Chinese browser maker UC, which last revealed plans to reach 100 million mobile users in India by 2015. The company claims to already have a 20 percent share of the local mobile browser market, and is set to plough $5 million into its operations there as it looks to continue its impressive growth. 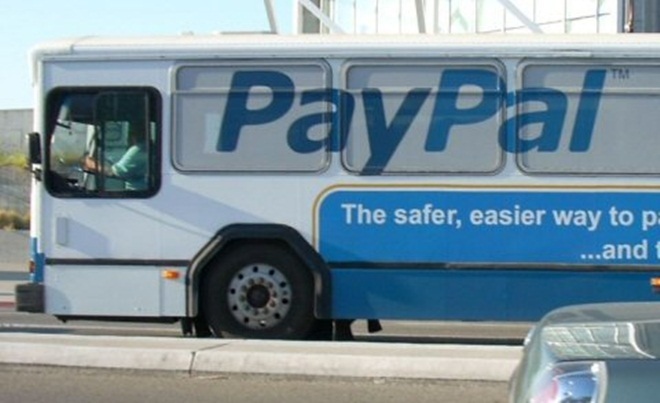 Online payment giant PayPal made its move into Japan last week when it launched PayPal Japan, a joint venture with mobile operator Softbank. The companies will take a 50-50 share after both investing $12.5 million (1 billion yen) in the venture. The eBay-owned company is making a push for Asia — having already targeted India and China — and it anticipates that Japan’s retail commerce market is worth $1.7 billion (134 trillion yen) and ripe for fresh competition. The move will also see it launch its smartphone reader ‘PayPal Here’ as it bids to kick start Japanese mobile payments, which have surprisingly seen slow adoption, despite the country’s legacy as a mobile innovator. Last week, mobile social gaming firms dominated the headlines for both positive and negative reasons. The country’s social games industry agreed to regulate its use of the ‘kompu gacha’ lottery-like sales technique in its games after the speculation caused a market crash that wiped $3.8 billion in capital away from 12 Japanese gaming companies. However, significant damages was done to share prices and it remains to be seen just how the revenue lost from regulating kompu gacha — which is though to account for half of some firms’ domestic revenues — will be replaced. Crisis aside, industry-leaders GREE and DeNA provided evidence of their clout when both companies released their latest financial results, seeing unprecedented growth in revenues. DeNA posted record annual sales of $1.82 billion and revenues of $794 million, up 29 and 13 percent year-on-year respectively. One title alone, Moba-coin, grossed $640 million over the last year, during which the firm linked up with Disney and expanded its efforts in China, South Korea and other markets. GREE saw net sales for the third quarter surpass $575 million (46 billion yen) and operating profit hit $307 million (24.5 billion yen). These statistics represented a significant increase on its figures one year ago, with sales alone up 11 percent on the previous quarter. We’ve seen a number of reports heralding Apple’s progress in Japan, and another came last week in the form of data from the MM Research Institute report. The organisation found that Apple was the country’s most bought smartphone in 2011 — with sales of more than 7 million units — while Android was the leading smartphone platform, powering 69 percent of all new devices sold. Apple made strides in Korea, last week, where it extended its after-sales support to provide consumers with no-questions-asked brand new replacements for all Apple devices that develop a ‘fault’ within a month of purchase. The policy had been in place for the iPhone, and the company has opted to extend the process across its entire product line in the country. That changes now means that Apple’s renewal policy is strongest in Korea, as consumers in other countries have their malfunctioning products replaced with refurbished units. Many of the world’s educators’ eyes fell on Thailand last week, after the country’s government finally agreed a $32.8 million contract to supply its one-laptop-per-child program with an initial 400,000 devices. The plan will see Shenzshen Scope, the Chinese supplier building the units, deliver a further batch of devices to take the total number up to 930,000 – which would make it the largest scale rollout of an educational tablet to date. Promising on paper, the scheme as seen a number of issues that have delayed it. The new Thai school term starts this month but the first of the tablets will not be in the hands of the first grade students that the project is catering to until July. China is the second largest luxury market in the world, and with more than two million millionaires today, it’s on its way to become the world’s largest luxury market by 2020. Well-known fashion brands are launching dedicated Chinese e-commerce platforms, as the trade volume of online shopping in China has grown by 100% per year since 2007. We had an interesting interview with Anina Net, China’s top foreign model and founder of 360Fashion Network, who talked about the hottest digital trends for fashion in China right now. Find out the full scoop in our interview here.